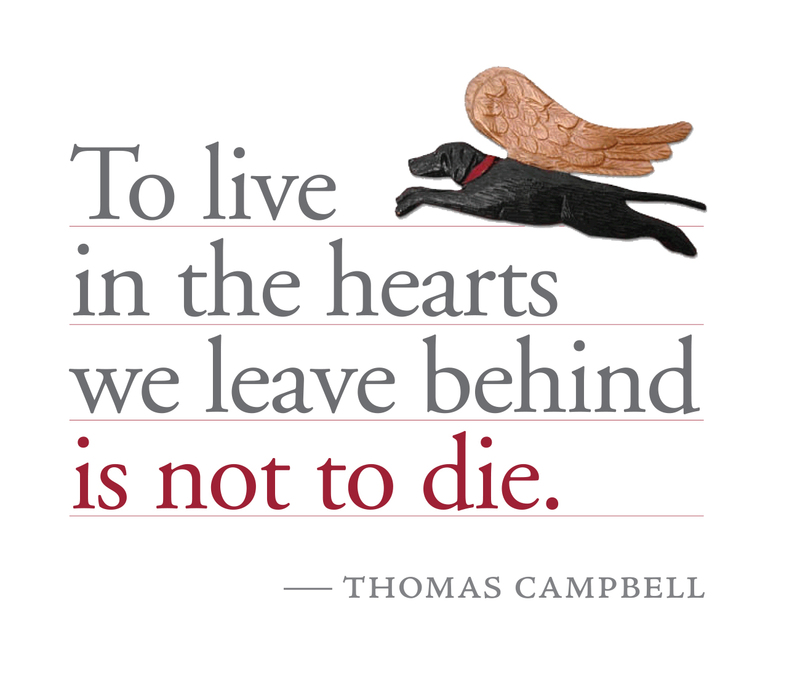 Today’s quote is by Thomas Campbell, but it is dedicated to Gwen Huneck who passed away unexpectedly on Sunday. Although I never met her in person, through email correspondence she was very kind and helpful to me when I requested information for a post I did about her late husband’s work and their beautiful Dog Mountain in Vermont. You can see that post here. “It is with heavy hearts that we share with our Dog Mountain community that our dear leader and friend, Gwendolyn Ide Huneck has passed away. Gwen never got over the loss of Stephen and missed him terribly every day. As you all know, after Stephen’s death, she devoted her life to continuing his legacy as a great artist. She continued to manage the gallery and she kept active in community affairs. She vowed to help turn St. Johnsbury into one of the most dog-friendly places in Vermont. Gwen became a beacon for people who had lost loved ones and pets and we think she absorbed a lot of that emotion and she may have had difficulty in releasing it. So I chose this quote in honor of Gwen, because with all of the comfort and love she shared through Dog Mountain and Dog Chapel she will always shine. And I added the iconic black lab with angel wings created by her husband Stephen, because well, I think it might just be the most perfect circumstance for its use. Rest in peace, Gwen. Photo courtesy and copyright Stephen Huneck Gallery. If you would like to support the future of the Huneck’s Dog Mountain by donation or purchasing some wonderful artwork or other items, visit the gallery site here. 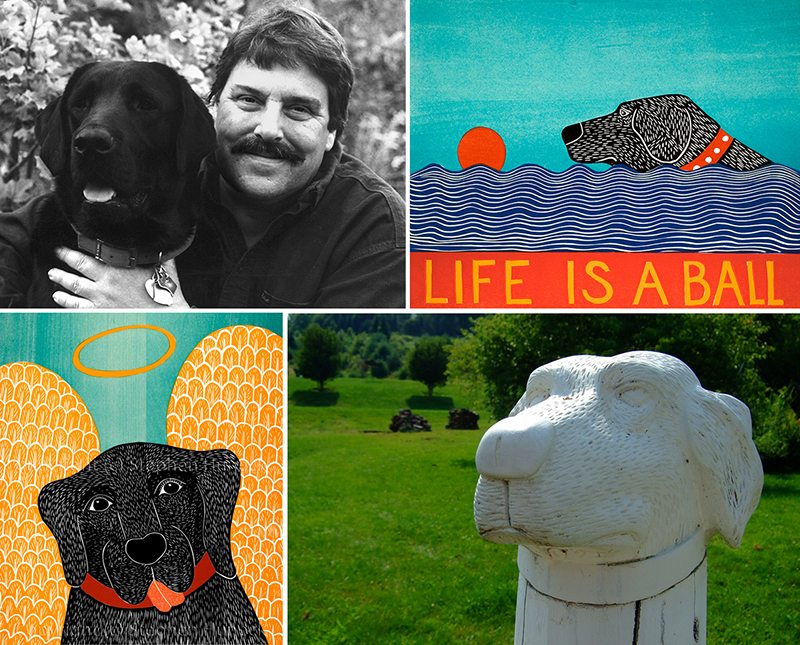 I wanted to feature the artist Stephen Huneck’s work and the incredible Dog Chapel he created on his Dog Mountain in St. Johnsbury, Vermont for a while now. And so here we go, but unfortunately when I began doing research I was shocked to discover he passed away a few years ago. I think that perhaps I didn’t hear about it at the time because I lost someone very special on the exact same day: January 7, 2010. Stephen Huneck took his own life that day because he was distraught over having to lay off his staff. In an ironic twist, the staff was hired back following his death because of the renewed interest in his work. However, things have once again taken a downturn and the future of Dog Mountain is in serious jeopardy. If you’re not familiar with the art of Stephen Huneck, the majority of his work consists of wonderful woodcuts and carvings, usually with dogs as subject matter. 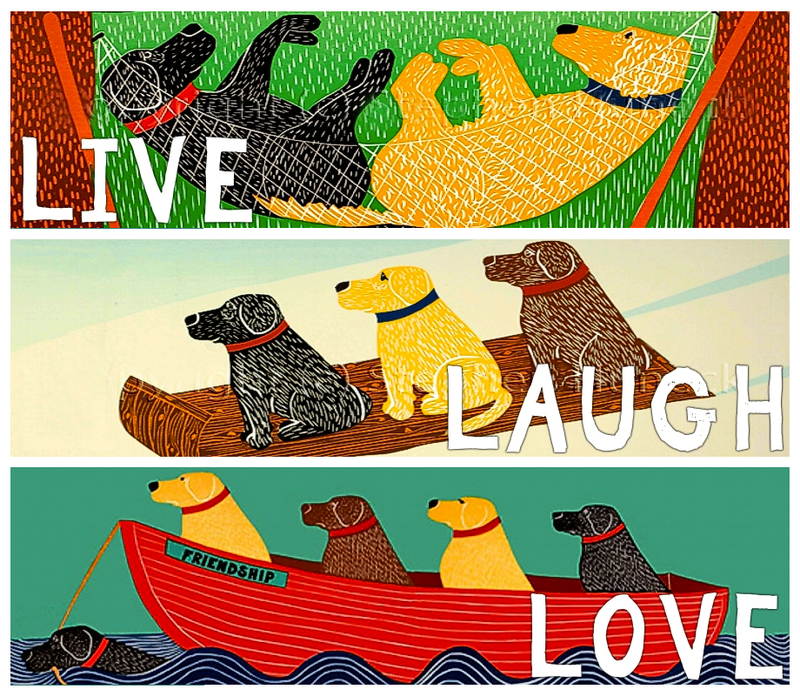 The pieces often depict true dog moments and observations with minimal text, but the dogs always retain a certain sense of nobility (as they should!). 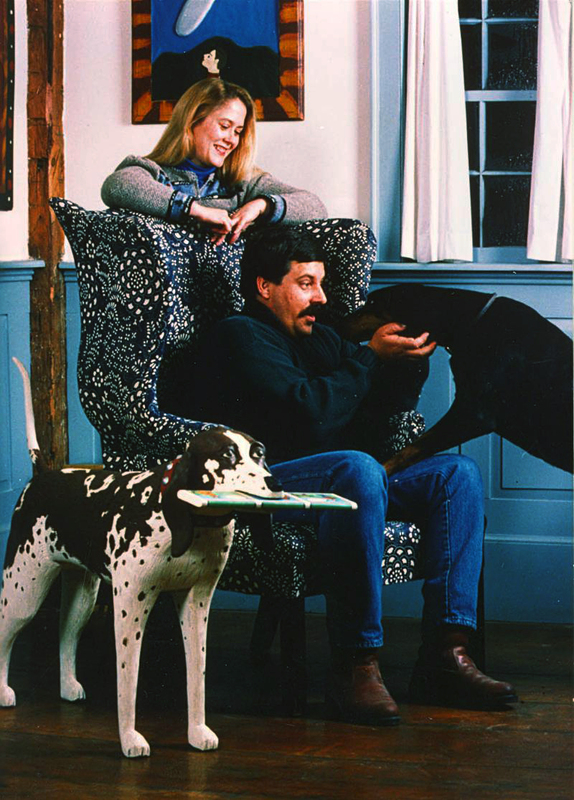 In addition, he became a NY Times bestselling children’s book author, with many of the books featuring his black Lab Sally as the main character. 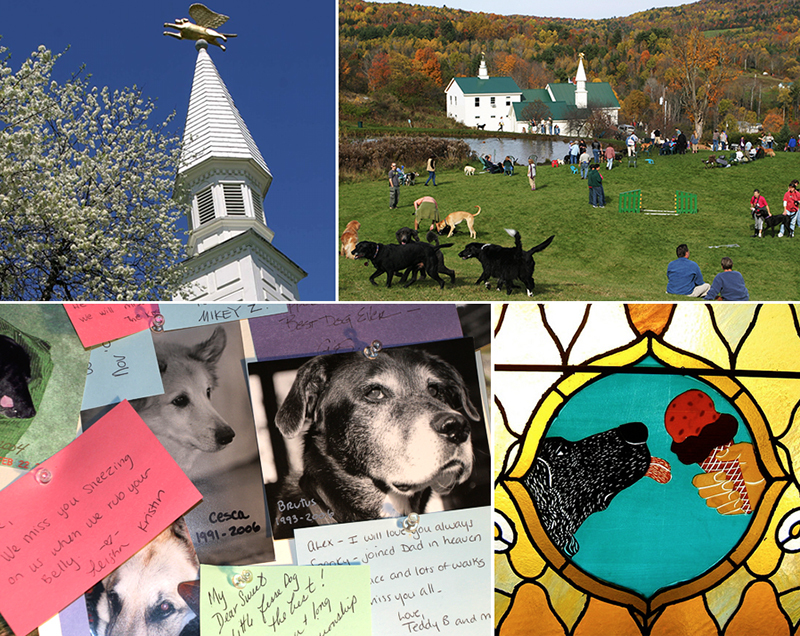 Following an illness and two-month coma, Mr. Huneck had the idea to create a special place where people could come and visit to honor their spiritual connection with their dogs, Dog Chapel. There is a sign outside the chapel that reads “All Creeds, All Breeds Welcome. No Dogmas Allowed.” People have come from all over the world to visit Dog Chapel, many of them posting notes to their departed dogs on the walls inside. I think that Stephen Huneck’s art is absolutely wonderful, but I also think that maybe his most successful piece is the living, breathing one we can all share: Dog Chapel and Dog Mountain. Every dog that visits, every person who comes with a heavy heart and a special message to send, every afternoon spent laughing and playing and enjoying life is the essence of this living piece. I hope that Dog Mountain can stay open, providing so many with the comfort they need after suffering a loss or celebrating life with their friend. If you’re planning a trip to Vermont for the fall color this year, maybe make a stop in St. Johnsbury and visit Dog Chapel and the Stephen Huneck Gallery. Or if you’d like to begin holiday shopping early this year, visit their website‘s online shop because every little bit helps. You can find anything there from keychains to books and puzzles for mobile devices to signed original woodcuts and sculptures.